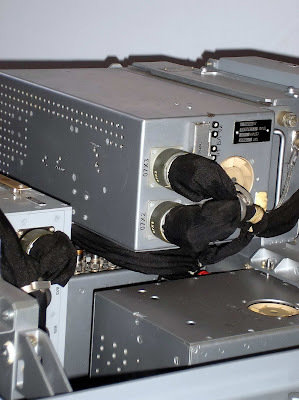 Defunct Humanity: AESA radars for fighters. Brief review. The radar with electronically scanning array antenna (ESA) is the last technically development of radar technique. They use interference effect for radar beam deflection, then the agility of the beam, the speed of scanning are much higher, than in case of radars with mechanically deflected antenna. USSR and USA were first nations who started using this technique on their military aircrafts. In Russia it was MiG-31 interceptor with 'Zaslon' ESA radar and in USA - Rockwell B-1B Lancer strategic bomber. Other examples: American BMEWS (Ballistic Missile Warning Radar) and SPY-1 Aegis on 'Ticonderoga' class cruisers and 'Arleigh Burke' DDGs. 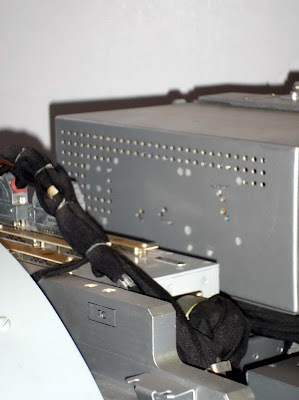 All those radar used passive scanning array (PESA) when the emitting elements were placed out of the array itself. No ESA radar with active scanning array was achieve producing stage till Cold War era end. However, the technical competition was continuing. 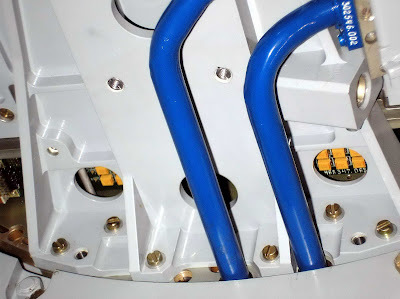 Since placing the active emitting elements in the array could give for radar some principal advance, the scientists push ahead with development of AESA technology. 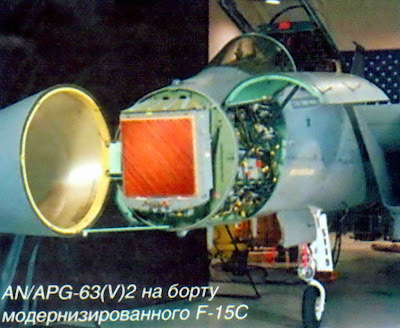 The first known project of fighter radar with AESA was Raytheon's AN/APG-63(V)2/3 AESA radar for F-15C/D upgrade. Before it this plane was with AN/APG-63(V)1 slotted array radar. AN/APG-63(V)2/3 on the board of 18 F-15C on Alaska became in Dec 2000 first AESA radars with combat readiness. 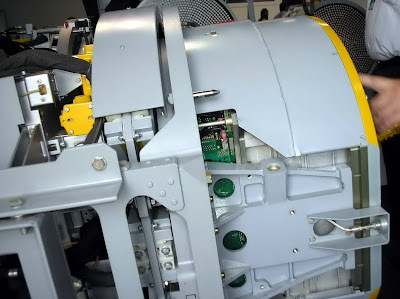 The next advanced modification of AN/APG-63(V)3 weights as 400 kg, with the 0.9 m diameter. It has started its fly tests in May, 2006. 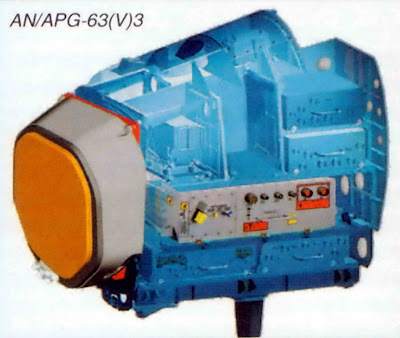 The last and most advanced modification of this radar is AN/APG-63(V)4, which uses AN/APG-79 parts and technologies. The most advanced AESA radar program is Northrop-Grumman AN\APG-77 for prospective stealthy fighter which have started at 1985. 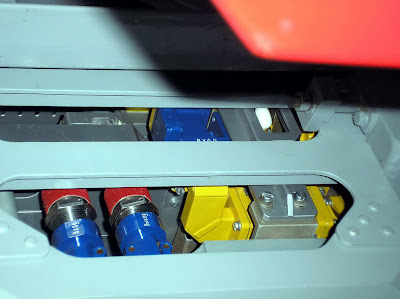 It has been installed on F-22A 'Raptor'. The framework of the radar was changed number times during the design period. Initially this radar was intended for air-to-air missions only. Air-to-ground capability was added much latter. 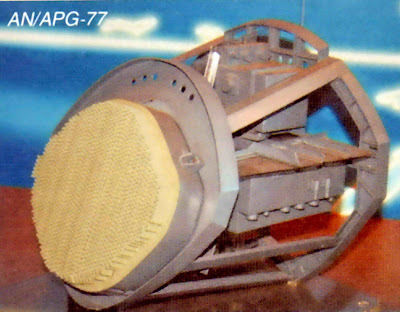 The last variant, AN/APG-77(V)1 benefits from technological and maintenance improvements of further developed AN/APG-80 and AN/APG-81 radars. New software allows high resolution mapping mode. 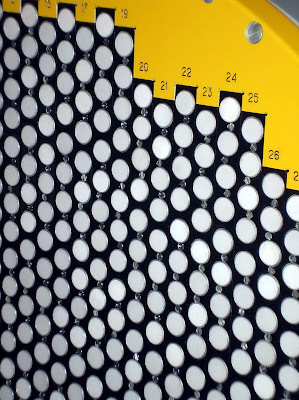 The radar is as 1 m. in its diameter and contains 2000 MMICs (emitting modules) each as 70 mm long. According to the manufacturer information the maximal detection range is 270-300 km for fighter-class aircrafts, 490 km – for bombers, 150 km – for cruise missiles. The maximal angle is 60 grad in vertical and horizontal projection, but only 30 grad in close combat. The radar can treck up to 28 targets. Radar has also the passive mode and the low probability intercepting (LPI) mode. The fly tests of the first radar modification have been started in Nov. 1997 (Boing-757) and Nov. 2000 (F-22A). However, the operational readiness of first F-22A squadron with AESA radars was achieved only in Dec. 2005. 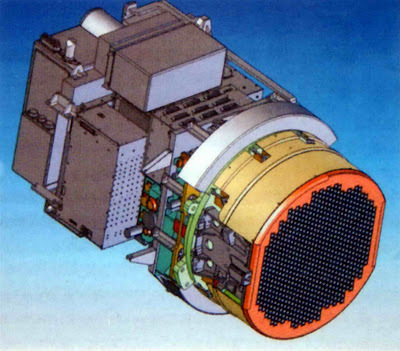 AN/APG-79 is another AESA radar which was developed in US by Raytheon for F/A-18E/F starting from 2000. The first fly tests were started in 2003. 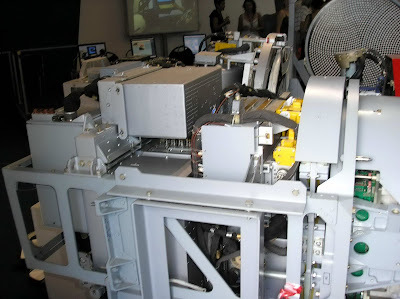 The first serial radar was transferred to Boeing for installation on F/A-18E/F board only in Jan. 2005. The initial operational readiness was achieved in 2007. EA-18G 'growler' EW aircraft came with this radar too. This radar is including IDECM inbuilt EW system. Its mass is about 300 kg. Next US AESA radar is AN/APG-81 of 'Northrop-Grumman' for F-35 FCS fighter. In this aircraft the AESA radar will become a part of MIRFS integrated system which is including EW and ELINT role. The radar will provide simultaneous work of visual, EW and ELINT sub-systems. The fly-testing has started in Aug. 2005 and its finish is planned in 2010. AN/APG-80 is Northrop-Grumman's AESA radar which developed for export with F-16E/F block 60 and intended for 4th gen. fighters modernization programs too. 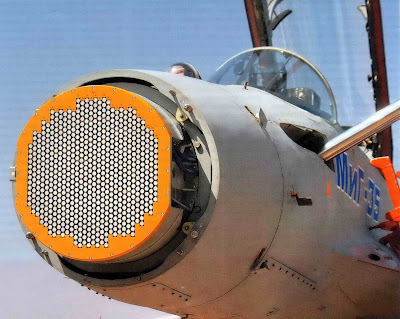 In comparison with older slotted array F-16C/D radar AN/AGP-68(V)7 the range of fly target detection is as twice as longer while synthetic aperture mode is added for ground strike capability. 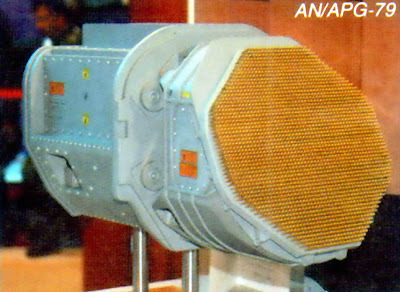 The Europe AESA program AMSAR (Airborne Multi-mode Solid-state Active-array Radar) was started in 1993 for Eurofighter. The project was financed 50% on 50% by GB and France, while Germany was providing the technically assistance. The name of the consortium was GTDAR (GEC-Thomson-DASA Airborne Radar). However, latter after merge the names of participants were changed to BAE Systems, Thales and EADS. Initially they planned to push for serial production after 11 years of development. 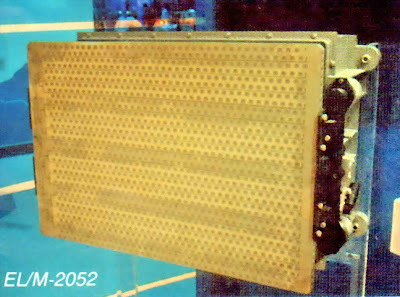 In 1998 AESA with 144 MMICs was constructed, then they were planning to build 1000 elements AESA. The fly tests were planned for 2002, but the program started to have technical and financial problems and was cancelled. 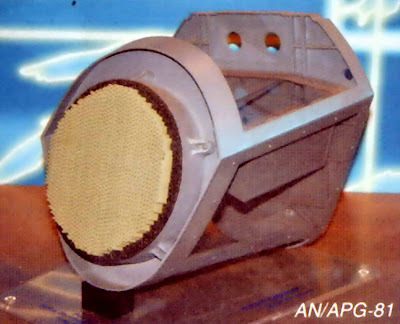 Then in 2002 'Euroradar' consortium tried to make an AESA antenna for Eurofighter's 'Captor' slotted array radar. 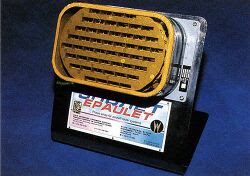 This 'Captor's variant is called CAESAR – Captor Active Electronically Scanned Array Radar. The participants of Euroradar are British SELEX, Germany EADS, Italic 'Galileo Avionica' and Spanish 'Indra'. 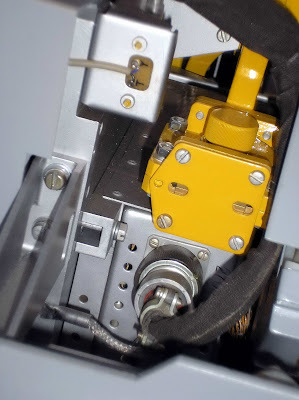 The hardest parts of an AESA program – MMICs - are made by Germans in Ulm. 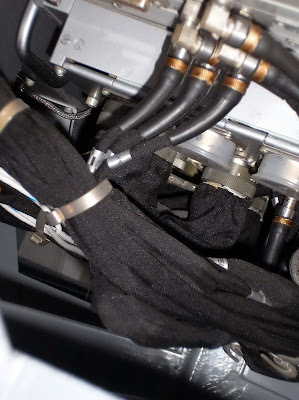 The fly tests were started in Feb. 2006 on the board of a test aircraft. 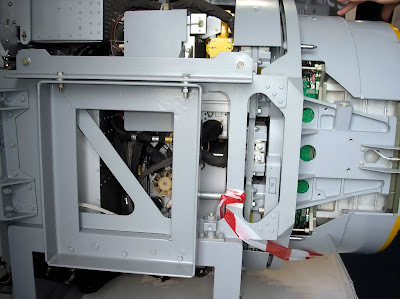 It's planned to be installed on Eurofighter stage 3 not early than 2010. 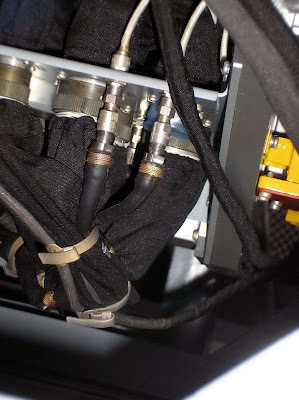 SELEX also works on two additional AESA projects: Picosar for UAV/UCAVs and helicopters and Vixen-500E for light aircrafts. The last is planned to be installed on Korean T-50/A-50 trainer and light fighter and Italian M346 trainer. After AMSAR program crash the French have started (Apr. 2002) their own AESA project DRAA (Demonstrateur Radar e Antenna Active). However, Thales has no its own MMIC technology and used American active emitting elements. The first fly test on the 'Rafale' board have started in May 2003. In July 2004 the program was renamed to DRAAMA (Demonstrateur Radar e Antenna Active Modes Avances) with only European parts (MMICs). 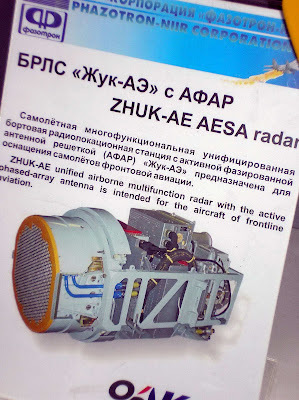 The radar itself is called RBE2 AA. The fly testing has been started, but the delivery to French Air-Forces is planned not early than 2012. Till then 'Rafale' is equipped with a passive ESA RBE2 radar. Sweden Ericson corp. started development of its NORA (Not Only Radar) AESA program for 'Grippen' fighter. However, in 2006 the radar department of Ericson was selled to SAAB and the program died. 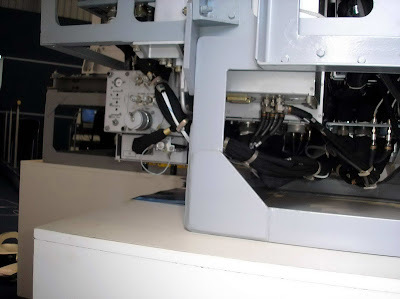 In 2006 the 'Grippen' AESA program was resurrected by SAAB in cooperation with two Italic partners: "Selex Sistemi Integrati' and 'Elettronica'. Israeli 'Elta' (the IAI daughter) started the flying tests of its EL/M-2052. It has as 1500 MMICs. No serial jet has this radar yet and isn't clear where it could be promoted except of Indian MMRCA. There is no signs of Israeli Air Forces interest for this product. So unlike other AESA radars it seems to be a pure export product. However, United States are against promotion of Israeli AESA radars for production that is competing with US' aircrafts because it has American technologies. Thus the destiny of this radar is not clear. Interestingly there are two totally independent AESA design teams in Russia. The first is Fazotron-NIIR corp. with its 'Zhuk-AE' AESA radar, and the second is NIIP with its still secret 5th gen. fighter AESA radar project. The first AESA program was started in USSR in late 80th. Then NIIR radar design house has been chosen as the radar developer for MiG's pr.1.42 sthealth fighter program. The name of the prototype was N014, but latter the lack of reliable MMIC technology pushed the program towards using of passive ESA with conformal lateral arrays. 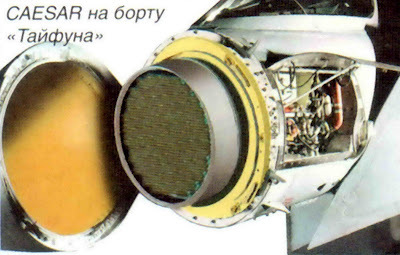 A new AESA radar program has started in Russia some years ago for upgrading a slotted array 'Zhuk' radar with AESA, and the progress is very prominent since then. In 2006 the first model of 'Zhuk'AE' AESA radar with 680 emitting elements was installed on the MiG-35 testbed and already in Feb 2007 the radar was demonstrated in Bangalor on the Indian air show. It was historically the first public demonstration of functional AESA radar in the world. MMICs for 'Zhuk-AE' are developed and produced by two Siberian (Tomsk) electronic firms: 'Micran' corp. and NIIPP design house. 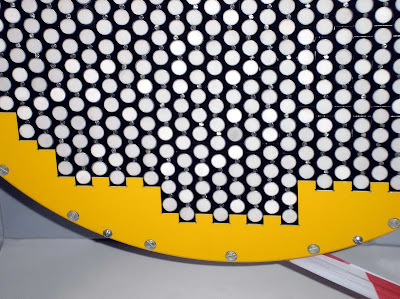 First 'Zhuk'AE' radar has a modular design and used DSP of the previous 'Zhuk-E' slotted array radar. 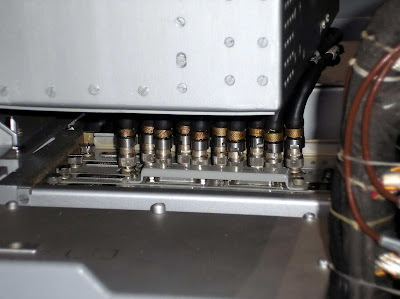 Equi-distant hexagonal geometry of MMICs has been chosen. The MMICs are quadrupled. The first dummy model of 'Zhuk-AE' was demonstrated publicly in 2005 on MAKS Air Show and then it had 700 mm diameter, 1000 MMICs and 20 grad upper deflection of the axis. As was written for public the radar could track 30 and attack 8 targets simultaneousely. The range of detection then was proclaimed 200 km in frontal hemisphere and 80 – from the rear. For big ground and naval targets the range of detection was 300 km. The angle of surveillance was proclaimed 70 grad in both horizontal and vertical axis. However, the weight of this model comes to 400 kg , thus the mass reducing steps were decided. 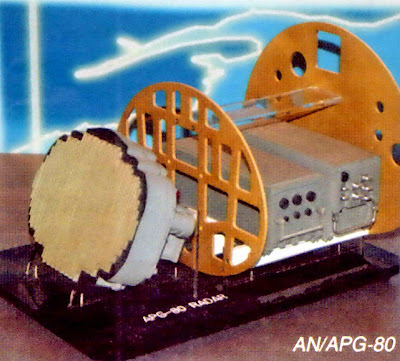 The scaled down model of 'Zhuk-AE' – FGA-29 – has 575 mm AESA with only 680 MMICs (170 quadrupled). It has been made in 2006 and has completed all ground tests and successfully started its flying tests. The detection range is 130 km for flying target (fighter) in frontal hemisphere, 50 km in the rear and 40 – on surface background. Naval targets detection: 200 km for cruiser, 100 km for missile boat, 120 km for bridge, 30 km for group of tanks. Low resolution mapping 300x300 m. on 80 km. Median resolution – 30x30 on 60 km. High resolution 3x3 m and the maximal resolution – 1x1 m for ground mapping mode on 20 km distance. Beam deviation – up to 60 grad in both horizontal and vertical axis. Its weight is 220 kg. Peak power - 3.4 kWt. It has air-liquid cooling. The MTBF is 600 hours. It can track up to 30 targets and attack – up to 6. Another Russian NIIP radar design house, the developer of famous 'Zaslon' PESA radar for MiG-31, has started works on AESA since late 80th. Then it was a radar for the MiG long range interceptor project, which finally was not come to live. 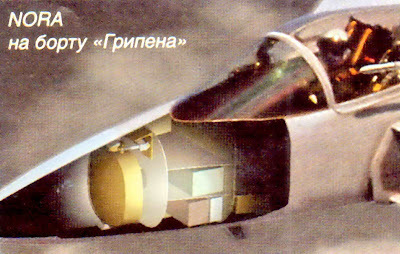 However, NIIP (Zhukovsky, Moscow district) was mobilized for PAK FA program in 2001 when the last was started. The MMIC developer is NPO 'Istok' (Fryazino, Moscow district). Some other manufacturers like GRPZ (Ryazan) and 'Leninets' design house (San-Petersburg), are also involved in electronic parts production. Most of this consortium members are already merged in huge Russian 'Rostechnology' corporation. There is only few known about the radar's characteristics because wrap of secrecy. It was reported in Russian press that the first prototype must be ready for tests till 2007 end. The only one technology demonstrator was displayed publically by NIIP till now. 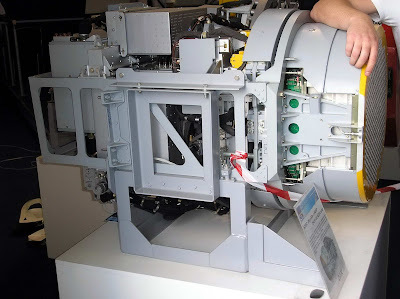 It's 'Epolet-A' miniature AESA radar with 68 MMICs. It's designed as an additional lateral side radar for fighters and can broader the angles of weapon use in close air combat. This post is based on open sources information. OK, I'll make a separate post for brief translation with my comments. The open sources give only comparative figures. Obviously the flight\operating cost depends of how do you pay for personal, do you make spares in India or abroad. So, the numbers calculated in Russia hardly could be relevant in India. If somebody could clear for us, what the real flight cost of MiG-29 in IAF, it would help however to calculate it for MiG-35 in more real context. I am sick right now. The info here as well as for AESA is excellent. It will take some time for me to digest. Wait for 1 week for more posts to follow. There was an old calculation for early 90th, MiGs in Germany. The flight hour cost for MiG-29 was $3000 for MiG-29 and $2000 for F-16 - it's without amortization cost. With all life cycle expenditure the diference was higher: $15 500 for MiG-29 and about $5 900 for F-16. About Irbis have no information, but methink Irbis advance must be in performance, not in maintenance.